There are companies where the balance between work and private life is recognized not only as a manifestation of social responsibility but above all as a competitive advantage and a condition of employee effectiveness. 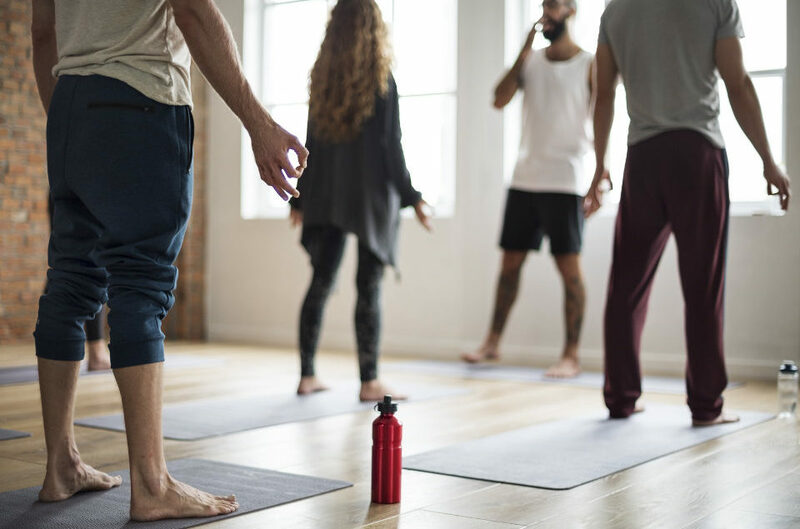 More and more modern, successful corporations like Google, Apple, Allianz, Volvo and Procter & Gamble see yoga and meditation as a life skill and essential HR tool. Health and well-being in the workplace are the basis of business success. How Kundalini Yoga can help you in it? Kundalini Yoga is a technology for those looking for practical and effective ways to support their business. Kundalini Yoga is one of the oldest technologies to work with the body and mind. For thousands of years the science of Kundalini has been hidden and reserved for the royal families and the highest castes of Indian society. It was passed directly to the students who showed themselves to be worthy of this knowledge. Teaching the kundalini of yoga in a different form was something unheard of until 1969 when Yogi Bhajan broke this tradition, recognizing that everyone should benefit from the practice. Today’s Kundalini Yoga is a combination of ancient knowledge with modern practicality. It brings fast and lasting results, making it more valuable for those who want to combine practice with work and family life. Currently, yoga has a lot of variations, some emphasize the physical aspect, others focus on breathing and meditation. Kundalini Yoga is a combination of all these elements adding emphasis to awareness and activation of the body’s energy centers. Through the use of such diverse techniques as physical exercises (asanas), pranayama (breathing exercises), mudras, mantras and meditation and relaxation, Kundalini Yoga is the most comprehensive form of yoga to guarantee fast and lasting effects in both the physical and mental spheres. For beginners or those who have not had contact with such activity before. For advanced yoga practitioners or those actively spending their free time, looking for something more, something that will support them in their day-to-day duties, balance all spheres of life and give them precise benefits leading into full use of their personal potential. It is also a technology for those who are looking for practical and effective methods of development and support of the company’s activities. Kundalini yoga can be practiced by anyone, regardless of age, physical abilities and level of advancement. Its richness gives endless possibilities for practical applications and a focus on very specific effects, especially in work environment. The regular practice of Kundalini Yoga favorably affects physical, mental and emotional condition. Although its primary purpose is to arouse the full potential of the consciousness, this practice also has many other benefits. In the physical sphere there is a significant improvement in health thanks to hormonal regulation, the strengthening of all muscles and relaxation of the most tense, stress cumulating body parts. The practice also supports digestion, metabolism and leads to body cleansing and weight optimization. Mentally Kundalini Yoga positively affects emotional balance and improves stress resistance through repair and strengthening of the nervous system. Regular training shapes character and personality, builds confidence and brings inner peace. Our mission is to provide the most effective and practical Kundalini Yoga techniques to those, who want to take care of all aspects of their lives in a sustainable manner, prosper and achieve more. That’s why, while working with companies, we are so keen on optimizing the training plan to the needs and capabilities of the training group. What we want to speak for our actions is not just participants feeling great, but also solid numbers. More about that soon to come. Each program is arranged individually, in close cooperation with a client and his HR department. Classes are prepared according to determined goals, directly addressing needs of participants and employers and in line with work-life balance. If you are interested, please contact us via the form below or call us.